Story ideas for media for Johnston County, NC. Brides have discovered several historic homes, horse farms, and wineries in Johnston County are perfect for their wedding venue. Located just 30 minutes east of Raleigh, the state capital and Raleigh/Durham International Airport, wedding guests will find our destinations easily accessible. Friends and family have discovered you don&apos;t have to spend a fortune at resorts to get-a-way for some shopping therapy, chocolates, spas, and some quality time together for a fun weekend. The Girlfriends Getaway in Smithfield offers 15% off hotel room rates, and gift bags filled with deals, coupons, discount admission from the Ava Gardner Museum, chocolates and more savings at the largest outlet center in Eastern North Carolina, Carolina Premium Outlets. Shopping in Smithfield and Johnston County is definitely the number one reason to visit us! Over 9 million shoppers travel to the county each year searching for great deals. Especially considering that Carolina Premium Outlets offers over 80 name brand retail outlets in one convenient location off of I-95, Exit 95. The Johnston County Beer, Wine, and Shine Trail continues to expand its offerings and, thanks to the NC Legislator, can now offer more spirit than ever before. As of October 2015 Broadslab Distillery can sell tasting room visitors a bottle of their smooth shine. Due to antiquated liquor laws, selling on-site had not been a possibility before. And you&apos;ll certainly want to pick-up a bottle! 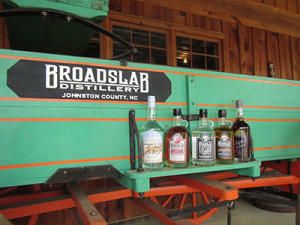 With real wooden barrels, a copper still, and corn growing in the field, Broadslab Distillery crafts an authentic taste from a recipe that is five generations old. Also along the trail are regionally celebrated, craft beer newcomers Deep River Brewing Company and Double Barley Brewing. Using local ingredients like sweet potatoes, watermelons, and corn, both breweries offer a variety of beers and come with high praise. 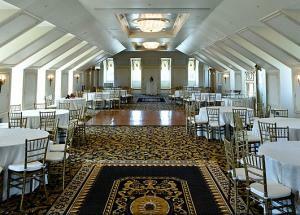 Let&apos;s not forget award-winning Hinnant Family Vineyards and picturesque Gregory Vineyards. Both offer vineyard tours and tastings. Better yet, the brand new Beer, Wine, Shine, and Dine Tour opportunity offers ticketed guided tours of the trail at certain times throughout the year. You enjoy all the delicious drinks and they&apos;ll drive you around. Cheers! - beerwineshinetrail.com. Agri-tourism may be a new term for travelers, but Johnston County has celebrated our farming heritage for over 60 years. This history asserts itself anew in the growing number of chef-owned restaurants in the county serving up fresh and local ingredients in delightful dishes. A great example of this is Colleen and Nate Roby from Simple Twist - with three locations in the county. As Colleen puts it, "we have close relationships with farmers in the area that have brought us all kinds of locally grown produce. We only serve Certified Angus Beef, the best kind of beef you can get. We use high quality ingredients to create delicious meals." Dig In! 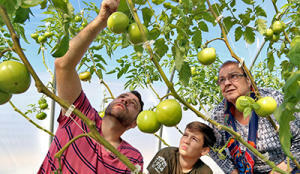 Afterwards, be sure to visit the farmers who grew the food you just ate... like a true foodie. Simple Twist works with Smith&apos;s Nursery which offers on-the-farm experiences for most of the year. Travelers of all ages continue to flock to the Ava Gardner Museum in Smithfield, where the community pays tribute to one of Hollywood’s brightest stars. 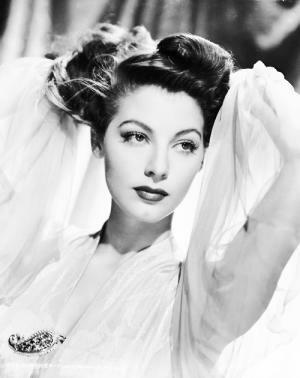 From humble beginnings in Johnston County to starring in 59 films, Ava is known around the world as one of the most beautiful women ever to work in Hollywood. In 2016 the museum unveiled a new exhibit called Ava Living in London and highlights Ava’s life in London from the movies she filmed there to her time as a permanent resident starting in 1968 up to her death in 1990. The museum has displays that change annually so that visitors to the museum can see new items from the vast collection the museum curates of Ava’s clothes, costumes, photos, personal mementos, art, letters, and props.